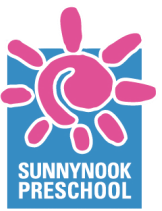 What will your child learn at Sunnynook Preschool? 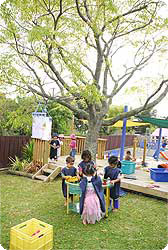 The Preschool learning environment is primarily based on well-planned learning areas that allow for child choice and self-directed/directed play, small groups, and supportive teaching that prepares children for academic excellence. The Right Start™ program supports the development of language, mathematical reasoning, scientific thought and is emphasised throughout the Preschool. Changes to the learning environment, activities, and projects reflect emerging interests and individual goals of the children. We offer supported experiences that encompass all the skills and understandings necessary for optimum development and success in school. Right Start™ Program What Preschool Children Learn The program is designed for each child to learn all the necessary skills and understandings to succeed at school and continue to thrive academically and socially. Preschoolers are full of questions, and excited to learn about the world they live in. In a supportive and caring environment, children are free to pretend, imagine, experiment, make friends and gain independence. Carefully selected developmentally appropriate activities are available each day to support learning and creativity. Children progress in number and letter concepts, are introduced to phonics and sight words, progressing unhurried at their own comfortable pace. Socially acceptable interaction are modeled and conflict resolution skills are supported through play. Activities include a balance of free-play and more structured individual and small group activities. Daily mat times time include songs, dance and movement, fingerplays, topic discussion, calendar work, letter and number recognition in context and show and tell. This format allows children their opportunity to shine and be heard. Children are assigned daily tasks (“jobs”) that afford responsibility and foster independence and self-esteem. The teacher's role is to guide children in making connections through active learning, in a context relevant to them. It is through this approach that children learn and retain information, without rote learning, undue stress, or losing their thirst fort knowledge. Children are encouraged to explore new activities and to reach their highest potential in a nurturing, supportive environment. Following are the elements of the program, in addition to play-based activities described in the preschool program. Identifying the author of a book, predicting what will happen next, narrating pictures without hearing the story, continuing a friends story etc. Measurement (using everyday items such as paperclips, rubbers, scissors, pencils, hands). Patterning: identifying, recognize and describe patterns in everyday life (male vs. female, tall, short etc) and representing concretely using pattern blocks, friends or toys, as well as drawing them. Self-regulation: Teachers work with children to control impulses, use appropriate means of communicating and interacting while maintaining positive self-worth. Toileting and hand washing routines. Specialised and planned music and mat-time programs. Dramatic play in the family play area with varied and changing props. Group creative activity work: working as a team to create. Children are encouraged to see themselves as artists. Representing thoughts and feelings through artistic expression. Settling your Child Starting at a Preschool is a huge change in a child's day to day routine. It can be very upsetting and children do not understand why they are feeling anxious and often they are unable to tell us. Families where English is a second language often need extra assistance in settling, teachers are well trained to cope with these situations. Often parents have as hard a time adjusting to their child's new situation. We want to ensure that at Sunnynook Preschool we make this adjustment as easy as possible for both the child and the parent. You can telephone as often as you want. Please do not hesitate in making contact. Get acquainted with your child's teacher, tell them anything special you feel should be known about your child. Children will adjust in different ways. Often children cry. They will not be told off and will be comforted. Teachers will wait until they are ready to participate in activities. Teachers are well trained in comforting unsettled children. If you are anxious please do not hesitate in calling you can call as many times as you feel necessary.